Colorado. California. Ohio. Virginia. Michigan. Toronto. United Kingdom. Last summer, two iBme interns set out on a learning journey to discover what mindfulness really is through conversations with leading teachers. They quickly gained a sense of the enormous depth and breadth of the topic as well as some of the foundational practices. 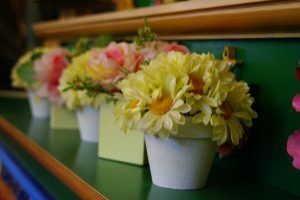 When they got to their third and final stop, the questions that interested them most were: How might these practices apply to our everyday lives? Particularly, what are the social implications of mindfulness and lovingkindness? FOUR unique iBme programs we want you to know about! 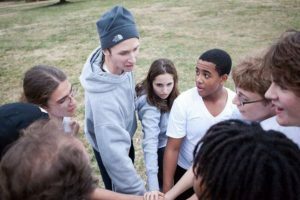 Since iBme began offering retreats in 2011, our core focus has been our teen retreats, which continue to thrive and multiply. As we evolve, we also develop new programming — to meet the needs and interests of unique populations within our community ecosystem. We love our teens! Get inspired!! iBme has never turned away anyone for a lack of resources. Nearly 75% of teen retreatants receive some scholarship funds — all made possible through the generosity and support of our community. In 2018 we offered over $410,000 in scholarship funds, allowing 290 teens to receive reduced or full tuition support. 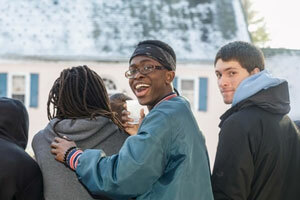 We were touched by a recent letter from a teen retreatant who received a scholarship. Read the letter. Last summer, motivated to learn what mindfulness really is, two iBme interns set out on a humble quest for truth and deeper understanding. 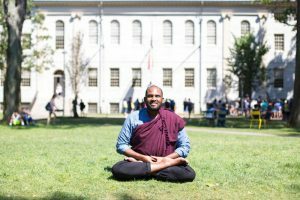 On their second stop, they visited with Sharon Salzberg, co-founder of Insight Meditation Society in Barre, Massachusetts, and author of Lovingkindness: The Revolutionary Art of Happiness and A Heart as Wide as the World. We love hearing directly from the teens who attend our retreats about how their experience impacted their lives. 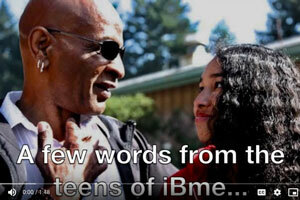 It is through their words that we come to understand just just how much of an impact an iBme retreat can have. 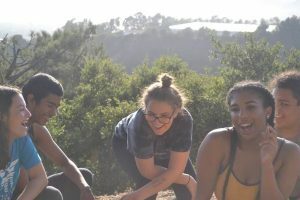 Whether you a teen considering coming on retreat with iBme, an interested parent, or a curious educator, we invite you to read “Home Is Everywhere,” a short piece from Olivia (Ollie) Stults, a participant in our Northern California teen retreat last summer. Read Ollie’s piece. Not Too Early to Think Summer! SUMMER DREAMING …Consider an iBme Teen Retreat. 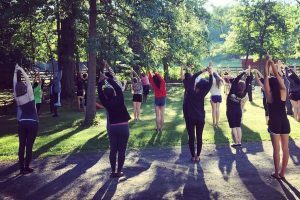 Experience a one-of-a-kind residential retreat based in practices of mindfulness — paying attention to the present moment with kindness and curiosity. Skilled facilitators create an authentic environment for exploring meditation, positive self-talk, and honest communication with others. It’s real and it works. 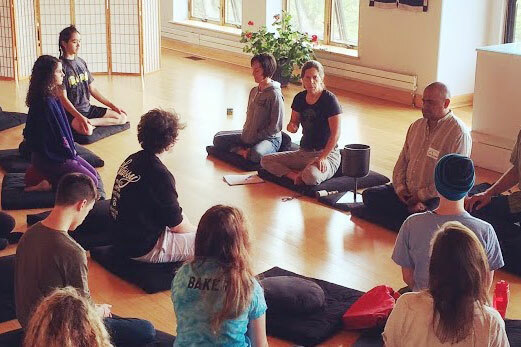 iBme retreats invite teens (and adults) to experience themselves in new ways through mindfulness practice. 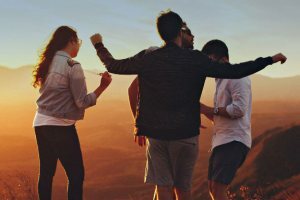 In community, they also learn from others, gain perspective on their personal struggles, and develop lifelong connections. We believe that the skills learned are the cornerstones for creating a kinder, more compassionate world. We would love to welcome you. Spend the start of the New Year immersed in a healthy, enjoyable space with like-minded souls. We’ll meditate, we’ll talk, we’ll laugh, and sometimes maybe even cry. What better time to take stock, gain clarity, and connect with your desires for the year ahead? The holiday season is a time for connecting with family and loved ones as well as a time of generosity and giving. We want to express to you our own deep gratitude for the growing community of incredible people in the iBme community — teens, young adults, parents, teachers, facilitators, donors, and many others — who believe in the importance of a saner, more compassionate way to live and engage with each other. As 2018 draws to a close, we celebrate that every teen who wanted to attend an iBme retreat, regardless of their ability to pay tuition, knew they would be able to come. 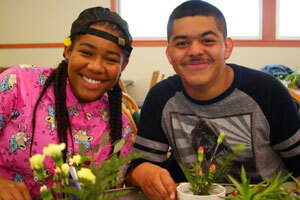 This year, $337,807 was allocated in scholarship funds, allowing 231 teens to receive reduced or full tuition support. iBme Mindfulness Teacher Training begins June 2019. 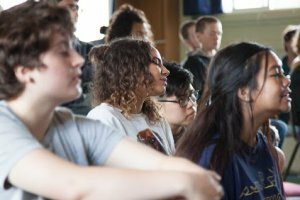 Bring empowerment to young people: A Year-long Immersion and Certification in Teaching Mindfulness to Adolescents.